King Servers Review 2019: Is King Servers a Good Hosting? King Servers focuses on offering high quality hosting solutions to its customers in Russia, the United States, the Netherlands, Germany, and Romania. The Russia-based hosting provider is powered by unmatched industry expertise, many years of experience in the sector and powerful data centers in California, New York, the Netherlands, and Russia. King Servers has been dominating the web hosting sector in Russia and around the globe for many years. The company focuses on offering its customers high quality hosting solutions as well as building long-term working relationships that are based on trust. King Servers has servers distributed in several locations around the globe including California, New York, the Netherlands, and Russia. Their website is available in English and Russian, but the services are available for people in Russia, the United States, the Netherlands, Germany, and Romania. A convenient management panel – All King Servers packages come with an intuitive, simple and straightforward interface that helps users change their website configuration, extend their hosting package, request support, among other tasks. Simple scaling – King Servers has designed its hosting solutions to make it extremely easy to change the configurations of your virtual servers, whether you want to upgrade or downgrade your subscription. Reliable protection – One big risk that makes many people shy away from shared hosting is the possibility of being infected by an attack on a neighboring website. King Servers uses VPS/VDS protocols that create independent virtual environments to avert security breaches and infections, including DDoS attacks. Incomparable stability – Few hosting vendors can match the stability of the software and hardware that King Servers deploys. The company uses advanced, first-rate hardware and software from the world’s most respected software creators and hardware manufacturers. King Servers hosting plans are extremely affordable and includes an array of features that would cost you so much more if working with another vendor. What’s more, the company offers their clients interesting gifts when they buy their CMS solutions and incredible discounts for those who buy plans that exceed one month. In addition, these affordable hosting packages include a free SSL certificate and the company helps transfer your websites from previous hosts at zero cost. That said, the company has no free version of its hosting plans, a free trial period or a money back guarantee. But given the positive reviews from many who have used King Services, subscribing to its hosting solutions does not seem like a big risk to take. Another noteworthy aspect of King Servers hosting solutions is its technical support. The King Servers support team is professional, polite, and friendly. Additionally, they are quite patient even when dealing with a beginner. The vendor’s website has a simple user interface that is immediately understandable and where all the help you need is just a few clicks away. The live chat works smoothly and a call to their support team using the phone numbers provided will get your issue solved in a matter of minutes. You can also choose to open a ticket or peruse through a resourceful knowledge base page. In my experience, the ticketing system is pretty fast and the support team is very thorough in their responses. 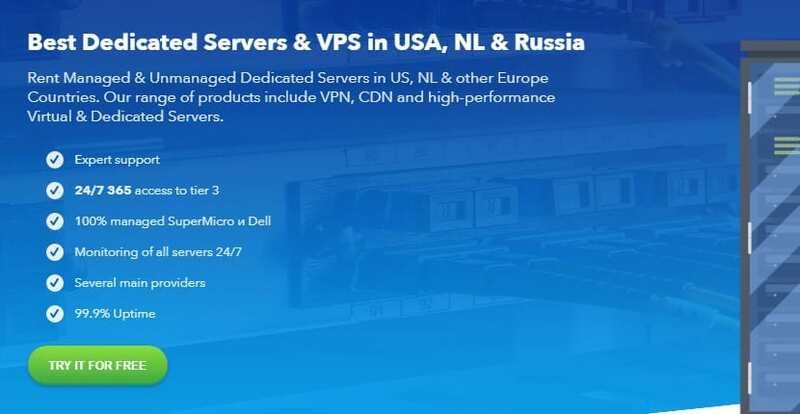 King Servers is the premier hosting vendor for individuals and businesses in Russia, the United States, the Netherlands, Romania, and Germany. The company offers affordable hosting backed by powerful state-of-the-art servers distributed in various locations around the globe. Wondering how King Servers stacks up against other Web Hosting companies? Enter any other Web Hosting company and we will give you a side-by-side comparison.